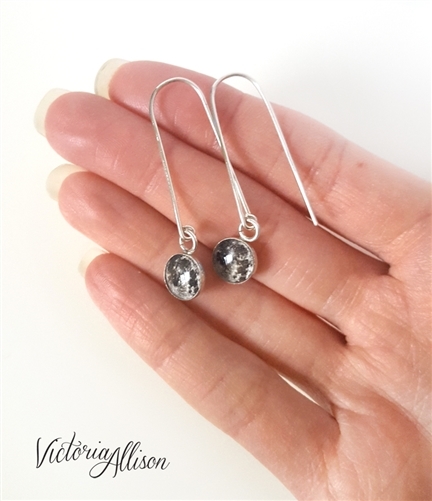 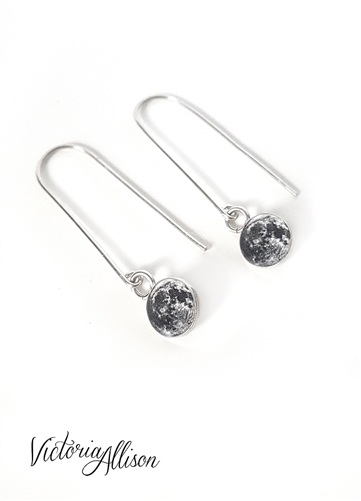 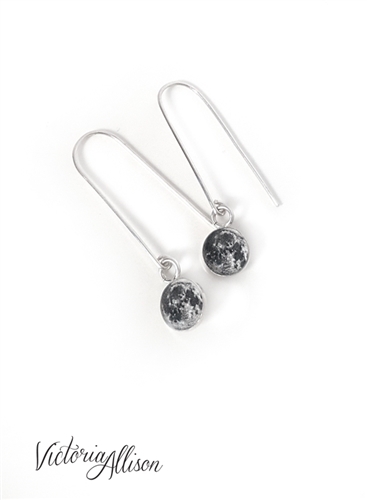 These sterling silver earrings feature a tiny image of the Earth's full moon, hanging from a long sterling silver earring hook! These earrings are made with sterling silver. 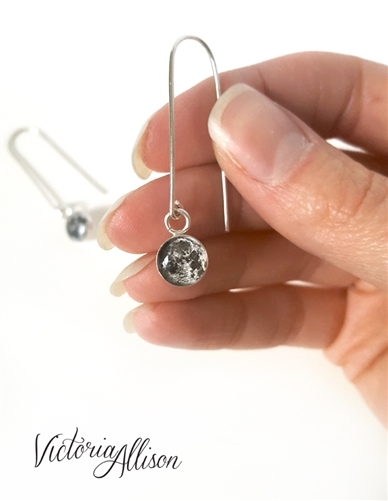 The image of the moon is displayed in a bezel setting, and sealed with glossy jeweler's resin.